City Treasurer Laura Parisi fought unsuccessfully this week for more hours on the job, which she says provides a necessary check-and-balance over city accounting procedures. In an unusual airing of a City Hall dispute complete with intimations and key witnesses, the City Council voted 4-1 Tuesday to keep the elected city treasurer’s position part-time instead of full-time. Council member Toni Iseman cast the dissenting vote, supporting the city treasurer’s request to increase her hours to 38 a week. Stressing that the decision was not about the person but about the position, the council supported the findings of a report that compared job duties of other elected part-time city treasurers in Brea, San Clemente and Placentia to that of the treasurer’s tasks in Laguna Beach. Laura Parisi, the city’s elected treasurer for nearly 16 years, disputed the report’s comparisons, which she says fail to take into account responsibilities she manages that other cities delegate to city finance staff and hired consultants. Parisi has requested the council increase her hours to full-time for the past 10 years, she said. Each time the request has been denied. A report by personnel consultant Mark Flannery, who was hired by the city attorney, concluded that Parisi’s claimed work time of more than 25 hours a week was “questionable.” City treasurer duties outlined by state law require only 10 hours a week, the report said. Parisi originally worked 20 hours a week, which was increased by five hours by the council in 2005, according to reports. “It’s rarely 25 hours a week,” Parisi said during a break after the council’s decision. “It’s usually more like 60.” It’s not that more duties have been added, Parisi said, it’s that there’s much more money to handle. In a presentation to the council, Parisi reported that the city budget has grown to $55 million this fiscal year from $25 million in 2000-2001. The city’s investment portfolio, which she manages, has increased to $100 million and 105 investments this year from $26 million and 13 investments in 1999, she said. The elected treasurers in Brea and San Clemente, Parisi argued, do not perform daily banking tasks, administer assessment districts or review hotel tax numbers. Neither do they manage their city’s investment portfolio, Parisi said. “Capable city staff performs the majority of the treasurer workload in cooperation with the city treasurer,” she reported. The general duties of the city treasurer are receiving, depositing, investing and re-investing public funds, which includes overseeing property-tax assessment districts and auditing occupancy taxes paid by hotel guests. In comparing costs, Parisi, who is a CPA, said she is underpaid for the services she performs. 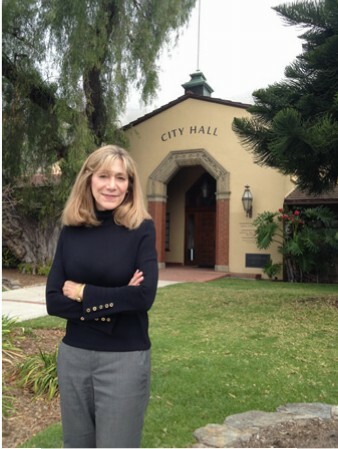 “The least-cost option,” she said, “is the Laguna Beach treasurer rather than outsourcing.” Parisi also said she’s less expensive than having the city’s finance staff do the work. “There are times the treasurer makes mistakes, too, and we work through those issues,” rebutted City Manager John Pietig. Outside auditors are hired to resolve accounting conflicts, he said. Neither public official described the errors that were discovered. Flannery’s comparisons are incomplete, Parisi said. Brea and San Clemente use city staff for services she performs as well as contracts with an outside firm, Chandler Asset Management, to manage their portfolios at a base cost of $62,500, she said. Along with three other Orange County cities, voters in Brea, San Clemente and Placentia elect their city treasurers. In his report, Flannery said that the duties Parisi requested to add to her job description “are much more detailed than those found in the other three survey cities.” Parisi is going beyond the duties outlined for a city treasurer and spending more time than necessary, according to Flannery’s findings after interviewing city staff. Staff also stated that the treasurer’s tasks duplicate duties of the city’s finance department. Dissenting council member Iseman also suggested at least a five-hour increase and noted the advantage of Parisi’s certification as a CPA. “Are we going to take the next treasurer and reassign it as bookkeeper? Are you going to go to Costco and have your taxes done?” she said. State law requires only that a city treasurer reside in the same city and is a registered voter, Flannery’s report stated. Parisi earns $89,900 a year with benefits bringing her annual compensation to $139,700, she confirmed. In Brea and San Clemente, larger cities by population where city revenues are equivalent to Laguna’s $55 million budget, the elected city treasurers work less than 10 hours a week, according to Flannery’s report. The San Clemente treasurer makes $6,000 a year and Brea’s treasurer makes $600, he reported. Neither are CPAs. Council members Kelly Boyd and Bob Whalen suggested that Parisi reassign some of her workload to the city’s finance staff. Parisi said she intends to seek re-election this November. Hey Laura, if you didn’t work overtime (that is not compensated) you would not be asking for this, I’m certain. So, the solution is for you to clock out at 25 hours and when your desk piles up with all of that finance stuff, including managing the City’s portfolio (WHAT!?) you just throw your hands up and say “well, legally, I am required to work 25 hours a week”. According to the State of California, you MUST be paid for overtime if it is necessary and known to your employer. Why run for re-election?? 10 years of not getting paid overtime ? She must be highly motivated to create the perfect full-time gig at the city. I don’t believe we need to create a special job to accommodate her over-qualifications and ambitions. This position does not require a CPA. Not only that, she is billing the city for education to maintain her CPA. She’s getting transportation expenses to work paid and going away to conferences all on the city dime. Enough!!! !